Meet Maddy, a typical millennial. Bad at life admin and celebrating her 30th birthday by running a marathon - tied to a balloon. But this is more than just a race. It's a battle. As a woman she is worn down. As a marathon runner, unprepared. By the finish lines she needs to have made a decision. Yes or no. 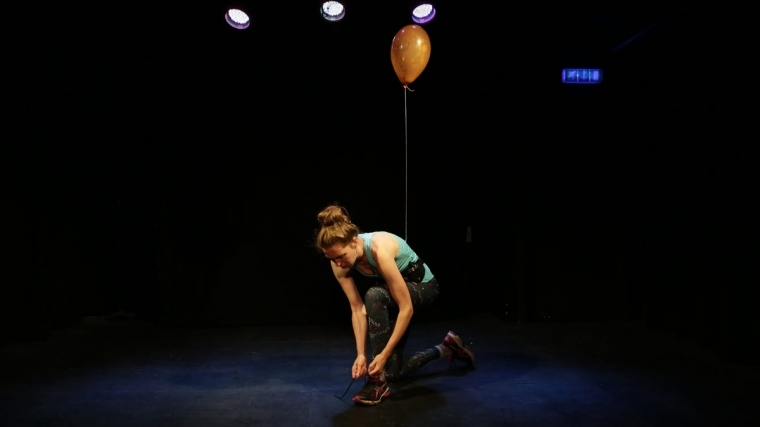 Following a highly successful run at Edinburgh Fringe 2018, writer and performer Grace Chapman runs on stage throughout in a celebration of our ability to just keep on going. An uproarious, 26.2 mile, one woman tour de force.